Canada’s new Liberal government was sworn in yesterday, and if its first moves were of any indication, science—woefully neglected under the previous Conservative government—will become a serious priority. The new cabinet features not one but two science ministers, and a renamed environment office with the words “climate change” right in the title. For nearly a decade, “science” was a word scarcely heard in the Canadian Parliament buildings. The topic did not hold much sway in Stephen Harper’s former cabinet, except at the minister of state level. That position belonged to Ed Holder, one of the lowest-profile members of the outgoing Conservative government— a position that was dissolved back in August. 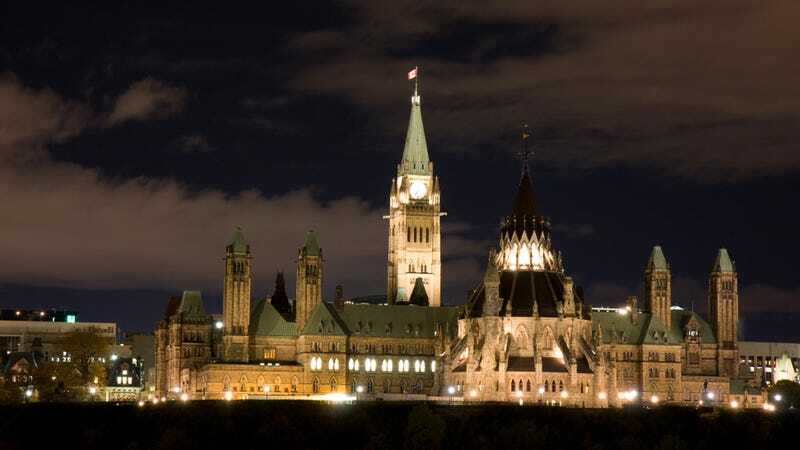 In an effort to correct this oversight and put an end scientific neglect, Prime Minister Justin Trudeau has announced a number of key changes to Canadian ministries. His cabinet now features a dedicated Ministry of Science that will be headed by Kirsty Duncan, a medical geographer from the University of Toronto, and a contributor to the 2001 report of the Intergovernmental Panel on Climate Change (cool fact: Duncan also wrote a book about her expedition to Norway to investigate the cause of the 1918 Spanish flu epidemic). The cabinet will also include a Ministry of Innovation, Science and Economic Development, which will be headed by financial analyst Navdeep Bains. Liberal spokeswoman Genevieve Hinse told CBC News that the government wanted to separate pure science from its commercial application under economic development. Another major change was to the Ministry of the Environment, which will now go by the name Ministry of the Environment and Climate Change. That’s a serious add-on to the title, and a strong indication that climate change—an area in which Canada is a global pariah—will be given the attention it deserves. This department will be headed by Catherine McKenna, a former legal advisor to the United Nations. McKenna will bring a green agenda to Parliament, including a pledge to reverse the country’s poor environmental track record, and a $2 billion “Low Carbon Economy Trust” to help facilitate clean tech. Where possible, restore environmental regulations that have been gutted such as the Navigable Waters Protection Act and the Species at Risk Act. Where possible, restore research programs that have been shuttered or have seen their budgets radically cut. Remove at least some of the mania for tying anything to do with public science to industry partnerships, in particular where it relates to the misguided transformation of the National Research Council into a concierge service for business. Exciting developments, to be sure. But let’s hope this government acts in accordance to these ministry updates.